Royal Blood is a two piece band comprised of bassist and lead singer Mike Kerr and drummer Ben Thatcher - but that's not the whole story. 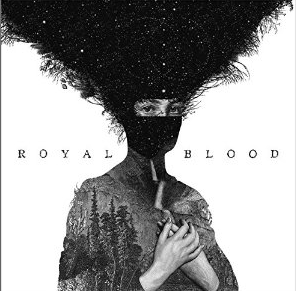 There have been other two piece bass and drum outfits including Death From Above 1979 and Clatter, but Royal Blood pushes the boundaries of a duo little farther. If you close your eyes - you'd swear that you also hear guitar playing at certain points in the song - and you'd be right, but when you open your eyes you'd see just two musicians and Kerr is definitely playing a genuine bass guitar. That's what makes Royal Blood a little different from the other bassist and drummer bands, they're simulating the guitar sounds as well - but all coming from a bass guitar. All of that is besides the point that they write pretty cool music. Here's Little Monster from their upcoming debut album. They definitely have a big sound with two musicians, and I'm curious to discover how they pull off their sound live and I'm sure I'm not the only one. Stay tuned for more on Royal Blood.